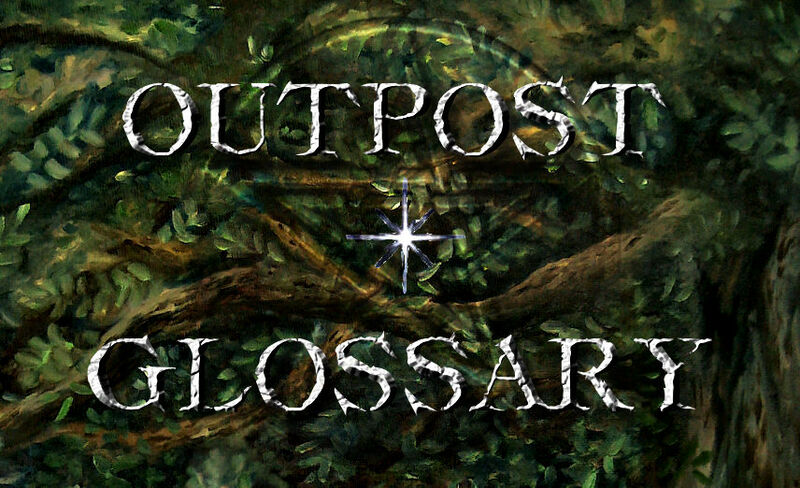 Welcome to the Glossary for Outpost, Book One in The Fylking. Here you’ll find names, places, creatures and terms, including illustrations and references to relevant entries and posts. This glossary (text only) is now included in the book. Place names can be found on the following map. Click to zoom. 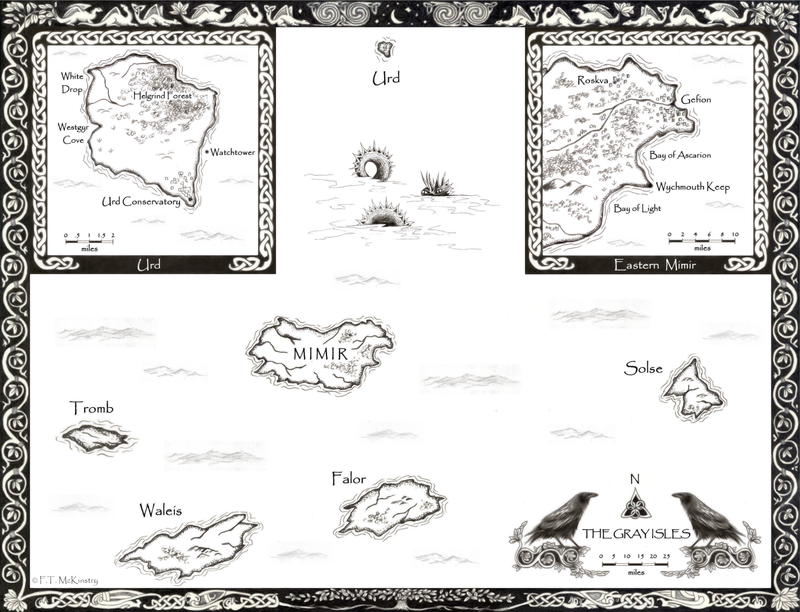 A link to this map is included in the ebook edition’s Table of Contents. Aegir Sea: A large sea south of the Njorth Sea beyond the borders of Skolvarin and Fjorgin. Ageton: A captain in the King’s Rangers. Commands the North Branch. Angvald: King of Dyrregin, House of Merhafr. Annalis: A Warden of Dyrregin from Olsc Amathin. See also Wardens’ Order. Anselm: Eldest son of Damjan, the Master of House Jarnstrom. See also Jarnstrom Forge. Aoneg (ah NEG): A vast, forested realm five hundred leagues west of Skolvarin over the Aegir Sea. Apex: A term used by the Fylking for Tower Sif, which stands on the northernmost point of the Gate in the Vale of Ason Tae. Here the world of Math merges with an array of other worlds on which the Fylking conduct their business. The first line of defense again their enemies, it is guarded accordingly. See also Ason Tae, Fylking, Gate, Sif. Arcmael: A Warden of Dyrregin. Son and heir of Lord Detlef Halstaeg. See also Detlef Halstaeg, Wardens’ Order. See post The Wardens’ Order. Arrival of the Fylking: A historical account, often told as a myth, of the arrival of the Fylking to the world of Math roughly nine thousand years ago. The term is also used to indicate a reference date. See also Fylking, Return of the Fylking. See post The Wardens’ Order. Arvakr: A horse belonging to Captain Ageton of the North Branch of the King’s Rangers. Ason Tae: A vale located on the northern border of Dyrregin, cradled by mountain ranges and forests. Being far north, somewhat isolated and home to Tower Sif, the Apex of the Gate, Ason Tae is thought by outlanders to be wild, uncanny and dangerous. See also Apex, Gate, Sif. See Map of Dyrregin. Banishing Sigil: A spell used by wardens to banish the Fylking. Involves moving the hand in a specific pattern. Created by the Fylking and taught to wardens to honor and acknowledge their free will, the sigil prompts the Fylking to leave a warden’s presence until he or she decides otherwise. Upon the foundation of the Wardens’ Order, the Fylking vowed never to violate this agreement. See also Exile Sigil, Fylking, Wardens’ Order. Bear’s End: A large, rambling inn on the North Mountain Road, in Wyrvith Forest, surrounded by mossy, overgrown ruins, crumbling walls and dangerous underground passages. Originally built as a keep by a Catskoll warlord called the Bear, it was never finished, and the destruction of the Catskoll army is shrouded in mystery. See also Catskoll, North Mountain Road, Wyrvith Forest. Blackthorn Guild: An order of witches and warlocks created by King Magnfred, the first ruler to claim Dyrregin’s throne after the Gate War. Traditional dress is shades of brown and green stitched with branches. See also Gate War. Blanch River: A river in Austr just south of the Ogjan Mountains. Bren: A King’s Ranger of the North Branch. Sensitive to the Otherworld. Best friend of Othin of Cae Forres. Bythe: A goatherd who lives outside of Odr, in sight of Tower Sif in the Vale of Ason Tae. See also Ason Tae, Odr, Sif. Cathouse: A brothel. In Dyrregin, it’s traditional for cathouses to keep actual cats as pets. See also Night Guild. 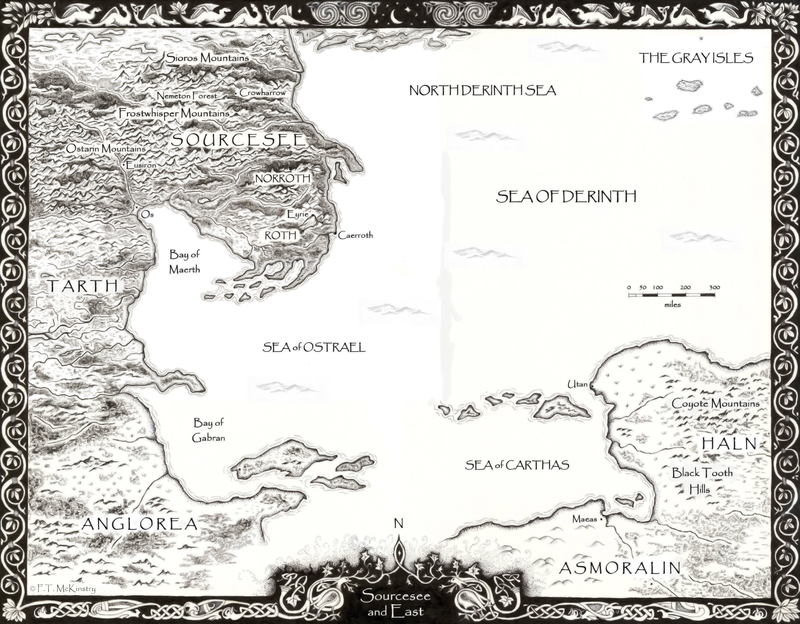 Catskoll: A realm south of Skolvarin over the Aegir Sea. Ceirn River: A river flowing from Lake Ceirn into the Njorth Sea, south of Grayfen. Coldevin: Lord and Master of Arms for the Dyrregin Guard. Reports to King Angvald. See also Dyrregin Guard. 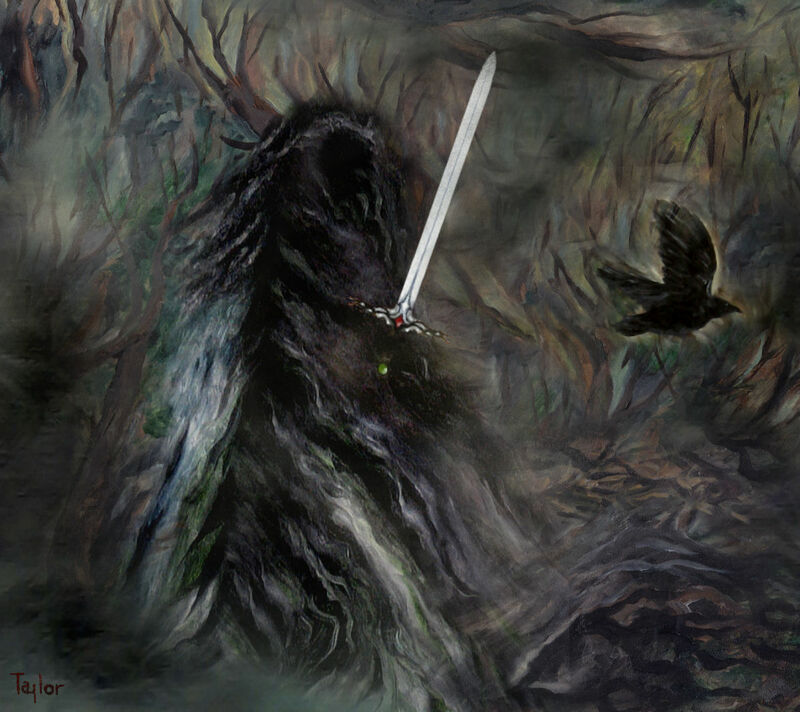 Crow Warrior: A mysterious Otherworld being that appears as a warrior riding a gray horse, dressed in gray and black and wearing the face of a bird with a long, black beak. 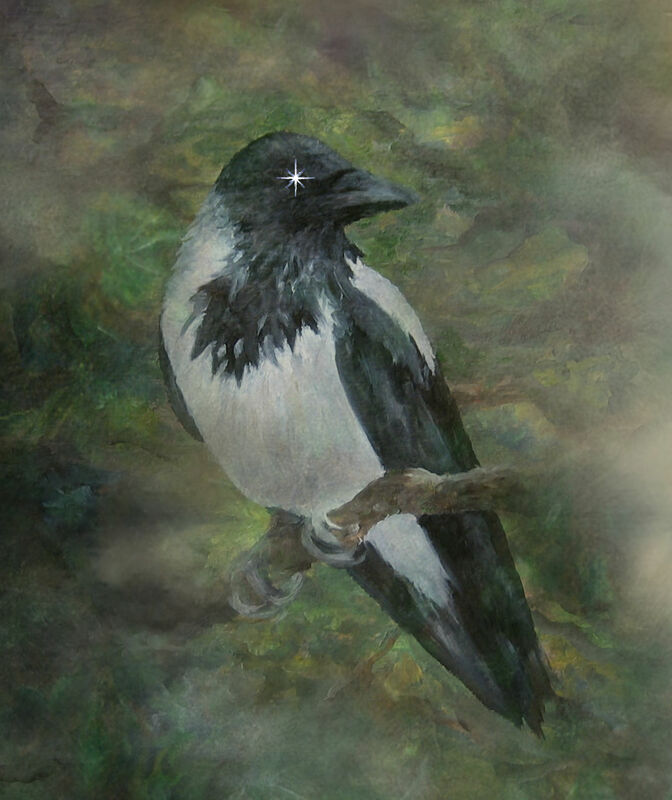 Often shapeshifts into a hooded crow. See post The Trickster. Damjan: An acclaimed swordsmith and the Master of Jarnstrom, a famous smithy in Odr. See also Jarnstrom Forge, Odr. Detlef Halstaeg: Lord and High Constable of the King’s Rangers. Cousin of the late King Farcas. Reports to Lord Coldevin. Father of Arcmael, a Warden of Dyrregin. See also King’s Rangers. Diderik: a captain in the Dyrregin Guard. Dog: A mutt rescued from a cruel owner by Arcmael, a Warden of Dyrregin. Dragon Warrior: An Otherworld rider clad in shining black scaled armor and a helmet shaped like a dragon’s head. Able to summon wind and storms. Draugr (DROG err): A malevolent being created by Fylking sorcery for the purpose of striking anguish and terror into one’s foes. The spirit of a mortally wounded warrior is trapped between the worlds in order to control it. Partly in the mortal dimension and partly beyond, the draugr are unnaturally strong, able to shapeshift into mist or fog, and cannot be killed. This magic is forbidden, a violation of Elivag. Colloquially referred to as “ghouls.” See also Elivag, Fylking. See post A Zombie by Any Other Name. Dyrregin (deer EGG in): In Fylking, “gateway of the gods.” A war-torn realm on the world of Math that contains and is defined by the Gate, an interdimensional portal built nine thousand years ago by the Fylking. Bordered to the west by the Njorth Sea; to the north by Isil; to the east by Maan Ket; and to the south by Skolvarin. See also Fylking, Gate. See posts The Fylking and The Realm of Dyrregin. See Map of Dyrregin. Dyrregin Guard: The army that defends the realm of Dyrregin. Commanded by Lord Coldevin. Earticael: A royal house and the ruling seat of the realm of Fjorgin. Located roughly fifty leagues west of Tower Sie. See also Sie War. Edon: A captain in the Dyrregin Guard. Commands the North Companies. See also North Companies. 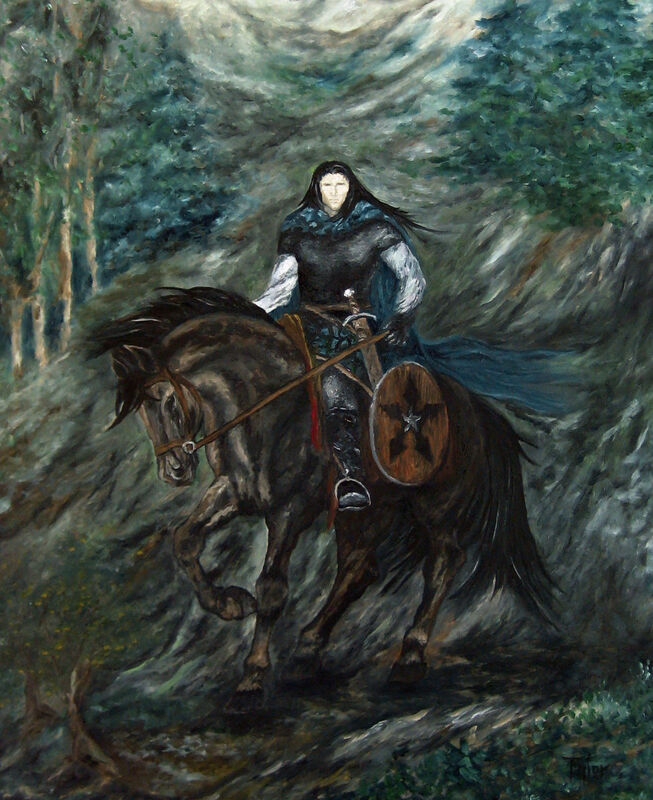 Edros: A Warden of Dyrregin. Mysteriously vanishes near Tower Sor and is never found. See also Gatetower, Sor. Elivag (ELL if aug): The eternal rhythm of the universe, the ebb and flow of life force in all things. 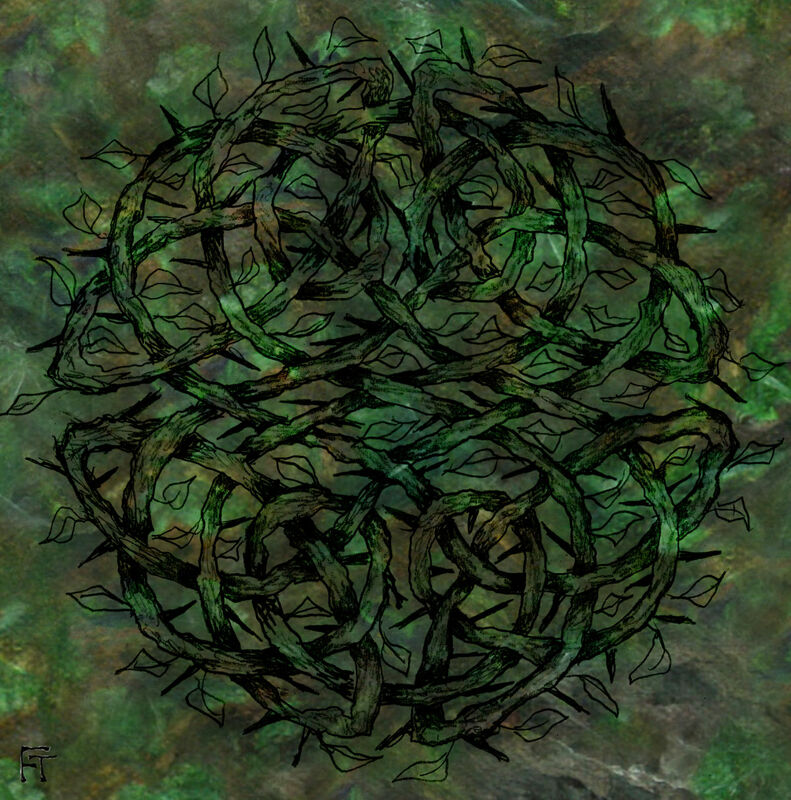 Exile Sigil: An invocation that breaks the cords between a warden and the Fylking, rendering the warden invisible to them. Ruled by Elivag, it cannot be broken or undone. Rarely used and never to be considered except in dire circumstances. See also Banishing Sigil, Wardens’ Order. Faersc Conservatory: A great hall nestled high in the Thorgrim Mountains, where wardens are trained and initiated into the Fylkings’ service. Run by Skadi, the Mistress of Faersc, and protected by the Fylking. See also Fylking, Wardens’ Order. Fagel: The constable of Odr. See also Odr. Farcas: A King of Dyrregin who preceded King Angvald. Cousin of Lord Detlef Halstaeg. Died by choking on the bones of a game bird. See also Detlef Halstaeg. Fell: A town located on the west coast of Dyrregin, in southern Austr. Steep, built on cliffs and easily defended from invasion. Once owned by shipwrights. 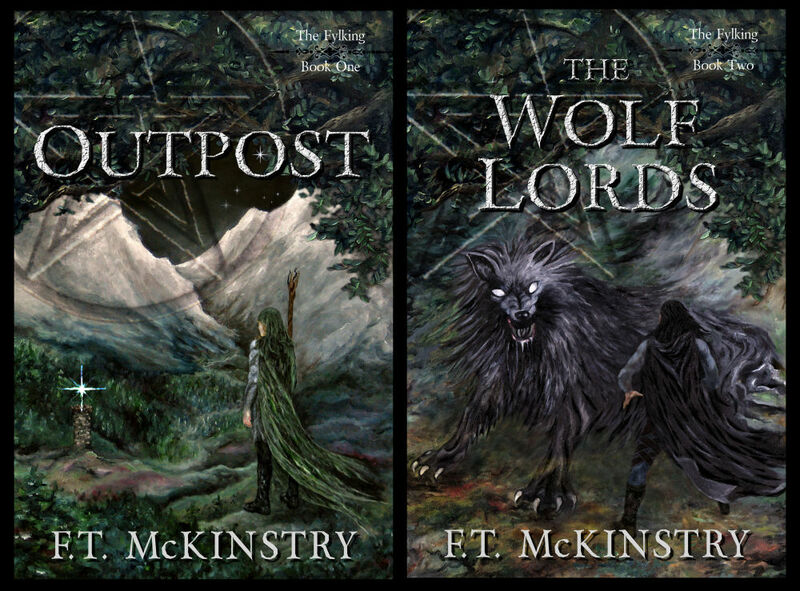 Fenrir Brotherhood: An ancient order of sorcerers who serve Loki, one of the Old Gods. Founded in Fjorgin. 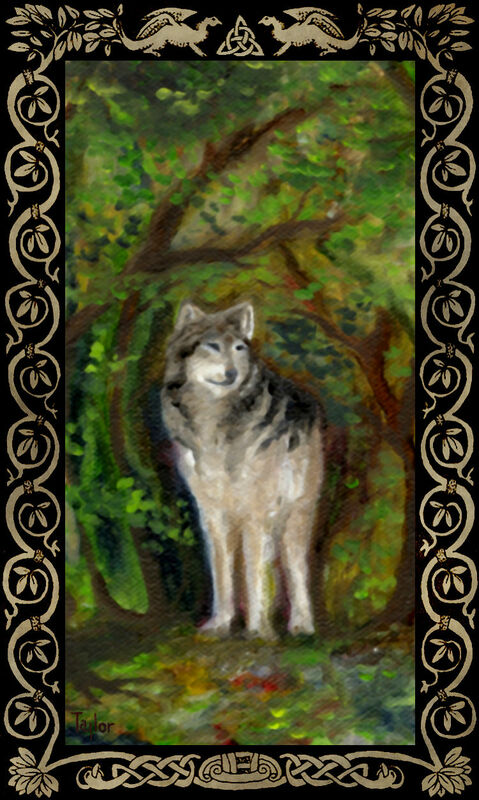 Symbol is a black wolf surrounded by leaves, moons and thorns. See also Fjorgin, Leofwine, Old Gods. Fjorgin: A realm west of Dyrregin, separated by the Njorth Sea. Ruling seat is Earticael. See also Sie War. Fomor Mountains: A mountain range that borders Isil in the far north and overlooks the Wythe Strait. Fylking (FELL king): A race of immortal warriors that came to the world of Math through a rare alignment and built a portal called the Gate in order to pass between dimensions at will. The Fylking are invisible to mortals except those who possess second sight, but can contact humans in visions, dreams or a sense of unreality. Fickle, powerful, adept shapeshifters, they are often feared and misunderstood by both humans and beings of the Otherworld, who revere them as gods. The Fylking fall into two orders: the High Fylking, warlords who occupy and protect the Gatetowers; and the Guardian Fylking, hired blades that protect wardens, the mortal seers who serve them. See also Gate, Gatetower, Guardian Fylking, High Fylking, Wardens’ Order. See post The Fylking. Garmr: A Dyrregin Guard outpost in the Ogjan Mountains. Gate: An interdimensional portal used by the Fylking to travel between the world of Math and other star systems. Pentagrammatic. Maintained by the Wardens’ Order and protected by the Fylking. See also Apex, Fylking, Gatetower, Wardens’ Order. 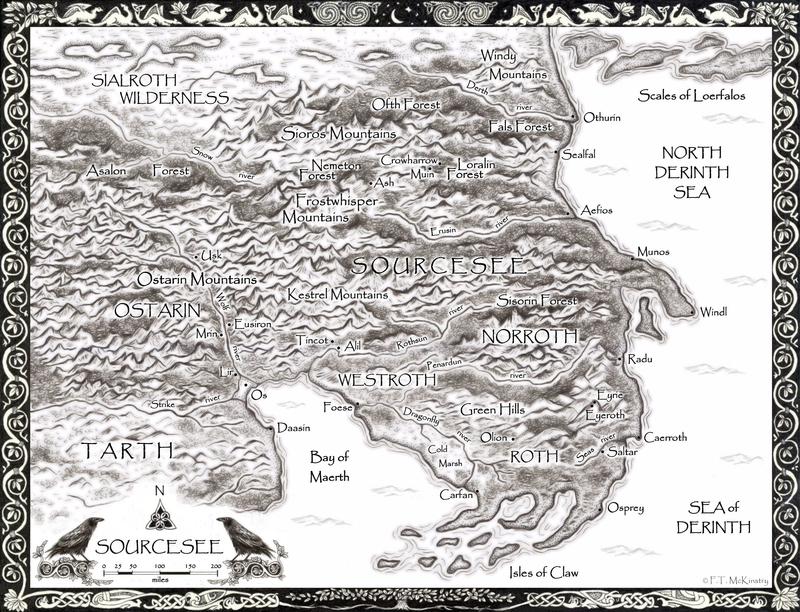 See posts The Realm of Dyrregin, The Wardens’ Order. Gate War: A war that occurred roughly twenty-five centuries ago when the Fylking’s enemy, the Niflsekt, came through the Gate. They trapped and killed the Fylking and instructed mortals to destroy the towers after the Niflsekt used them to leave. The war left Dyrregin in ruins for a thousand years, accursed, until the wardens’ descendants rebuilt the Gate. See also Gate, Niflsekt, Return of the Fylking, Wardens’ Order. Gatekeepers: A term used by the Wardens of Dyrregin to refer to the High Fylking of Tower Sif, the grim, volatile Fylking warriors who initiate wardens into the order. See also High Fylking, Sif, Wardens’ Order. Gatetower: One of ten stone towers that comprise the Gate. Each tower gathers light from the sun, moon and stars and focuses it into a complex crystal array, providing an energy source. Each tower stands on a point or intersection of the Gate pentacle. The outer towers (points) include Sif, Sin, Sae, Sef and Sie; and the inner towers (intersections) include Sor, Sol, Soc, Som and Sos. The gatetowers are manned by the High Fylking. See also Gate, High Fylking, Sie War, Wardens’ Order. See post The Wardens’ Order. Genfawr: A captain in the King’s Rangers. Commands the West Branch. Gottfrid: A male prostitute at the Pink Rose cathouse. Good with a sword. Graebrok Forest: A large forest on the northern border of the Vale of Ason Tae. Surrounded by myths and dark tales. See also Ason Tae. Grayfen Aviary: One of many aviaries where the ravens that serve as messengers to the King’s Rangers are raised and trained. See also King’s Rangers. Grayfen: A town located on the west coast of Dyrregin, in southern Austr. South of Fell and west of Lake Ceirn. Guardian Fylking: Warriors who protect the Wardens of Dyrregin. In Fylking hierarchy, the Guardians are mercenaries. Each warden is accompanied by a small company of Guardians who choose him or her upon initiation, and appear in certain forms such as animals or elements so the warden will know them. Rarely, they appear in their natural forms as warriors. See also Fylking, High Fylking, Wardens’ Order. Gunda: A spiteful, gossipy villager from Odr. See also Odr. Haldor: A lieutenant in the Dyrregin Guard. Commands the North Companies stationed in Ason Tae. See also North Companies. Halstaeg: A royal house in Merhafr. See also Arcmael, Detlef Halstaeg, Merhafr. Heige: A King’s Ranger and friend of Othin of Cae Forres. An adept archer. Hel: A goddess in the Fylking pantheon who rules the realms of the dead. Term is also used to refer to the underworld domain itself. See also Old Gods. High Fylking: Elite warlords deployed to the gatetowers to protect the Gate from both human and nonhuman intervention. Always appear as fully armed warriors. Grim and generally intolerant of mortal concerns. See also Fylking, Gate, Guardian Fylking. Ingvar: A captain in the Dyrregin Guard. Good at hand-to-hand combat. Jarnstrom Forge: An old and renowned smithy on the North River in Odr. Known for swords and weaponry. Run by Master Damjan. See also Odr. Kidge: The mistress of the Pink Rose cathouse. See also Pink Rose. King’s Citadel: A large citadel in the center of Merhafr, the ruling seat of Dyrregin. Houses the king and royals of the realm. King’s Rangers: An elite brotherhood of warriors who keep order in the wilds of Dyrregin. Employ a complex system of messaging through riders and ravens trained to scout patrol routes and recognize their rangers’ appearance. The rangers report directly to the king through five captains who command the areas within the arms of the Gate pentacle: North Branch, East Branch, Southeast Branch, Southwest Branch, and West Branch. Coat of arms is a sword and arrow crossed over a pale moon with an embossed interlocking pentacle spanning the diameter. Motto: “We keep the balance when the gods turn away.” See also Gate. See post Wildcards. Lake Ceirn: A large lake in southern Austr. Larfen: a township south of Tower Sol, east of the Fasos Hills. Leofwine: Seneschal of Lord Detlef Halstaeg. Fjorginan, House Earticael. Member of the Fenrir Brotherhood. See also Detlef Halstaeg, Fenrir Brotherhood. Lone Wolf: An inn located northeast of Vota near the border of Wyrvith Forest. See also Wyrvith Forest. Lysalfheim Hall: A meeting hall in the King’s Citadel in Merhafr. Part of the Rangers’ Square used for meals, companionship, gatherings and official meetings. Named after a midwinter constellation which aligns with the upper three points of the Gate pentacle. See also King’s Citadel, King’s Rangers, Rangers’ Square. Maan Ket: The realm bordering Dyrregin east of the Cyrilian Mountains. See Map of Dyrregin. Magnfred: First King of Dyrregin to claim the throne after the Gate War. Started the Blackthorn Guild. See also Blackthorn Guild, Gate War. Magreda: A prostitute at the Pink Rose cathouse. A friend of Othin of Cae Forres. Melisande: A woman of Odr in the Vale of Ason Tae. Lives in Graebrok Forest near Tower Sif. Nicknamed Millie. A renowned knitter and lover of Othin of Cae Forres. Considered fey, touched by the gods. See also Ason Tae, Sif. Merhafr: (mer HAHF er): Ruling seat of Dyrregin. 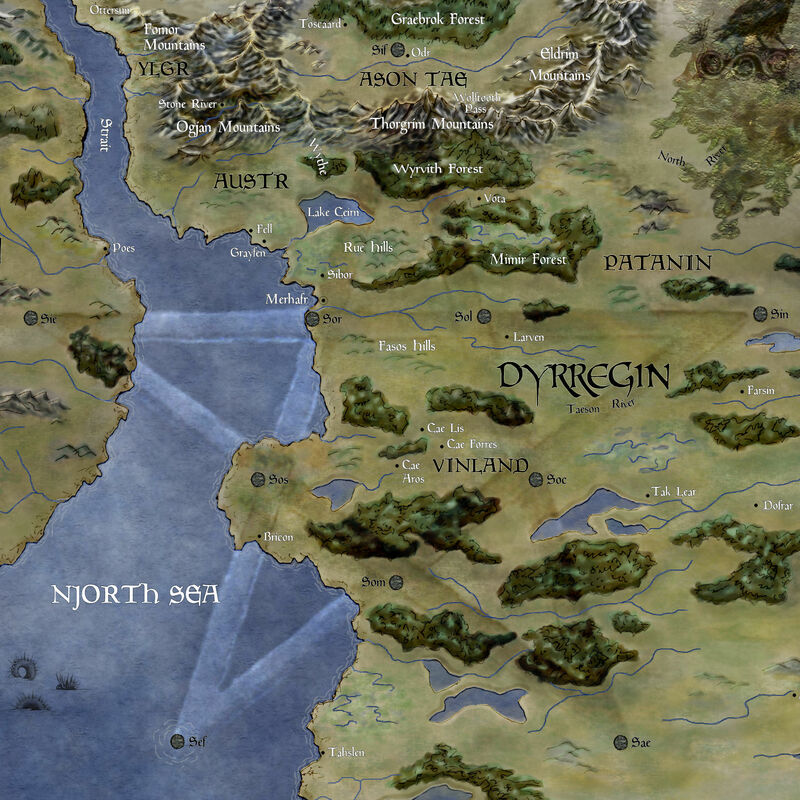 A large port clustered around the King’s Citadel on the western coast of the realm, near Tower Sor. Includes an inner ring of walls and a second ring that forms a semicircle from the northern side of the harbor to the Taeson River that bounds the city to the south. See also Dyrregin, Sor. Mermaid: A cathouse in Grayfen. Mimir: A large, wooded swamp east of the Rue Hills, in Patanin. Treacherous and difficult to navigate. Minos: A royal house in Earticael, the ruling seat of Fjorgin. Moor’s Edge: An inn located in the wilds of Ylgr near the northwestern coast of Dyrregin on the Wythe Strait. Nestor: A King’s Ranger deployed to the North Branch. Took over the Ason Tae patrol from Othin of Cae Forres. Niflsekt: The ancient enemy of the Fylking. A race much like the Fylking, immortal and unseen, yet serving the dark side of balance. Responsible for the Gate War in which Dyrregin was annihilated and left in ruins. See also Fylking, Gate War. Norn: A being in the Fylking pantheon. The Norns rule fate and destiny; spinners, weavers, workers of magic. The term is used by the Fylking to refer to Melisande. See also Fylking, Melisande. North Companies: A large force of Dyrregin Guard stationed in the Thorgrim Mountains and the Vale of Ason Tae, to protect the realm from invasion from the south and west. Commanded by Captain Edon. North Mountain Road: The main thoroughfare from Vota to the Vale of Ason Tae. Passes through Wyrvith Forest, the Thorgrim Mountains and the Wolftooth Pass. Odr: A village on the North River in the Vale of Ason Tae. Close to Tower Sif, the Apex of the Gate and its most perilous location. Having settled centuries ago so near the Fylking’s domain, Odrians are reputed to be reckless and fey. See also Apex, Ason Tae, Sif. Ogjan Mountains: A mountain range in northern Austr, east of the Thorgrim Mountains bordering the Vale of Ason Tae. Old Gods: The pantheon originally introduced to Math by the Fylking. Includes, among others: Balder, a sun god; Freya, a goddess of fertility; Hel, keeper of the realms of the dead; Loki, a mischievous trickster; Thor, a god of war and thunder; and Othin, the Allfather. See also Fylking, Othin. Olja: Wife of Damjan, the Master of House Jarnstrom. See also Jarnstrom Forge. 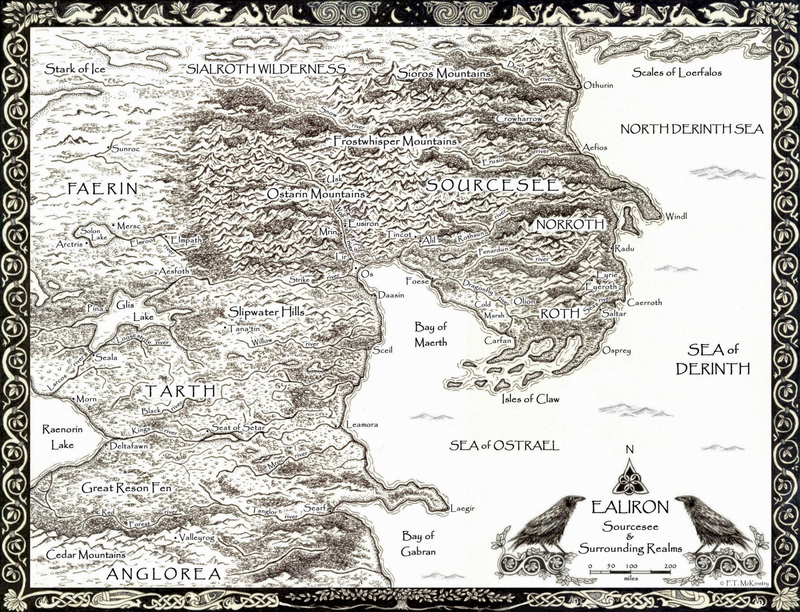 Olsc Amathin: A realm in southern Maan Ket bordering Dyrregin. Others: Beings who inhabit the Otherworld. See next. Otherworld: The vast realm of the unseen existing beyond time and space; the source and reflection of physical events. Inhabited by an infinite variety of beings referred to as Others, including nature spirits, elves, goblins, phooka, planetary entities and other natural forces. This includes the Fylking, who occupy the unseen dimensions and are often, though not always, respected as gods. The Otherworld can be perceived by mortals with second sight, though interaction can be dangerous and is ill advised without training and protection. See also Fylking. See posts The Phooka, Goblins and Creepy Horses. Othin of Cae Forres: A King’s Ranger of the North Branch. Melisande’s lover. Named after Othin, the Allfather. See also Othin (next). See post Ranger of the North Branch. Othin: One of the Old Gods; also called Allfather, Magician, Wanderer, Trickster and Raven God. Accompanied by ravens and wolves, he often appears as a mysterious blue-cloaked figure. A notorious shapeshifter, he is considered tricky, unreliable, yet wise. See also Old Gods. See posts The Raven God and Norse Mythology and the Voices in My Head. Otter River Valley: A valley in the southern foothills of the Vale of Ason Tae. A day’s journey from Odr. Ottersun: A far northern village beneath the Fomor Mountains overlooking the Wythe Strait. 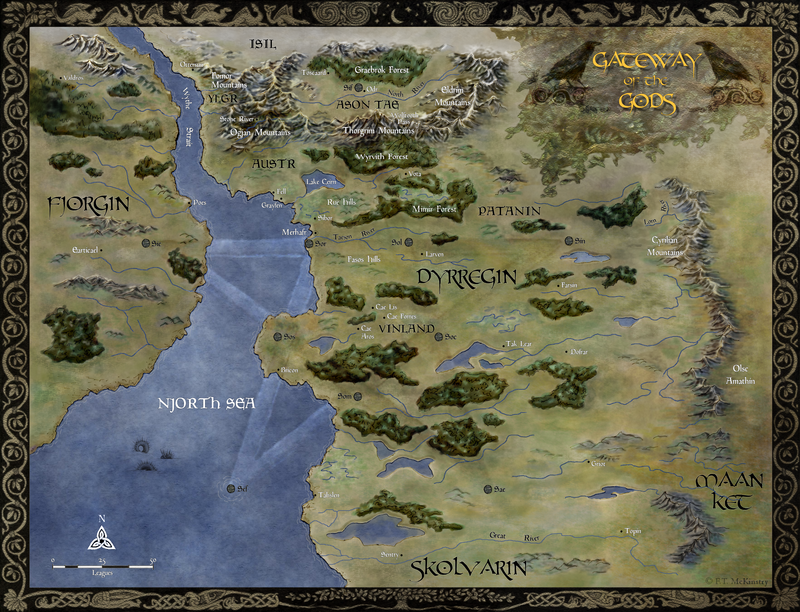 Patanin: A realm between the Thorgrim Mountains and the Taeson River. Phooka: A creature of the Otherworld. A shape changer, part human at times, or part or all animal such as a goat or a horse, always with dark fur. Bleak, uncanny and generally wicked, yet can also be beneficial depending on mood or circumstance. Considered a prince in the between realms. See also Otherworld. See post The Phooka. Pink Rose: A renowned cathouse in the coastal city of Fell. Managed by Mistress Kidge. Prederi: A King’s Ranger and a friend of Othin of Cae Forres. See also King’s Rangers. Rangers’ Square: A garrison in the King’s Citadel in Merhafr, containing rooms, baths, kitchens and training yards in which rangers live between patrols. Strategically positioned on the eastern side of the citadel closest to the gates. See also King’s Rangers. Return of the Fylking: A date in Dyrregin history used to indicate a number of years after the Fylking returned following the Gate War. The Fylking arrived in Dyrregin roughly 9000 years ago, and reigned for 6500 years until the Niflsekt destroyed the Gate. The realm lay accursed for 1000 years until the wardens returned and rebuilt the towers. After 300 years, the Fylking returned through the Gate, and the Dyrregin calendar marked a new age at that time. 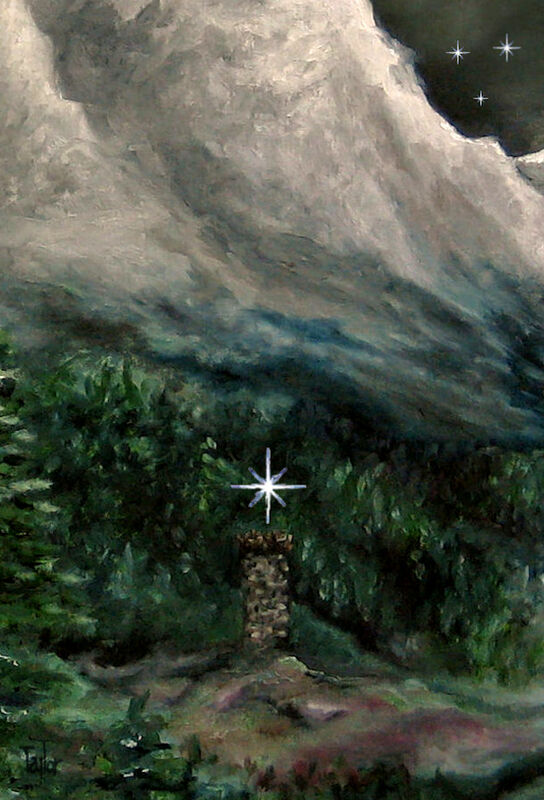 The present time in which Outpost takes place is Return of the Fylking, 1245. See also Arrival of the Fylking, Fylking, Gate War, Niflsekt. Rosalie: The daughter of Lord Detlef Halstaeg and younger sister to Arcmael. Sae: An outer gatetower located in southern Dyrregin roughly twenty-five leagues from the Skolvarin border. See also Gate, Gatetower, High Fylking. Sef: An outer gatetower located in the Njorth Sea off Dyrregin’s southwestern coast. Over millennia, the sea engulfed the granite shoals around this tower, isolating it from land. The wardens now tend it by sea using boats. Sailors avoid it for fear of the Fylking. See also Gate, Gatetower, High Fylking. Sie War: A war two hundred years ago between Dyrregin and Fjorgin. Since the establishment of the Gate by the Fylking, Dyrregin held the coastal lands in eastern Fjorgin, including Tower Sie. Fjorgin claimed and won all the lands west of the Njorth Sea. 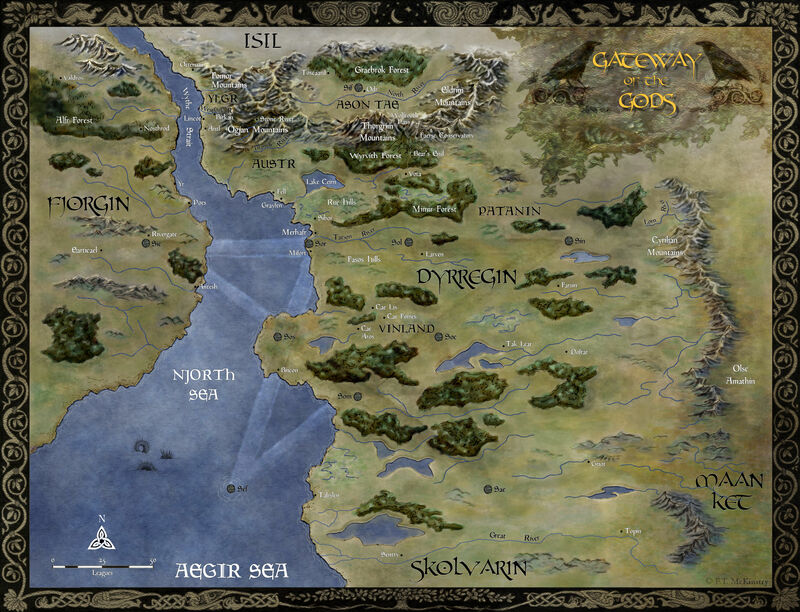 Afterwards, the two realms drew up the Njorth Treaty. See also Sie. Sie: An outer gatetower located in the realm of Fjorgin across the Njorth Sea. Once part of Dyrregin, Tower Sie was lost in the Sie War, but is still tended by the Wardens’ Order under the protection of the Fylking. See also Gate, Gatetower, High Fylking, Sie War. Sif: An outer gatetower located on the northernmost point of the Gate in the Vale of Ason Tae. Called the Apex, Tower Sif merges with other worlds and is the first line of defense from attack by the Fylking’s enemies. 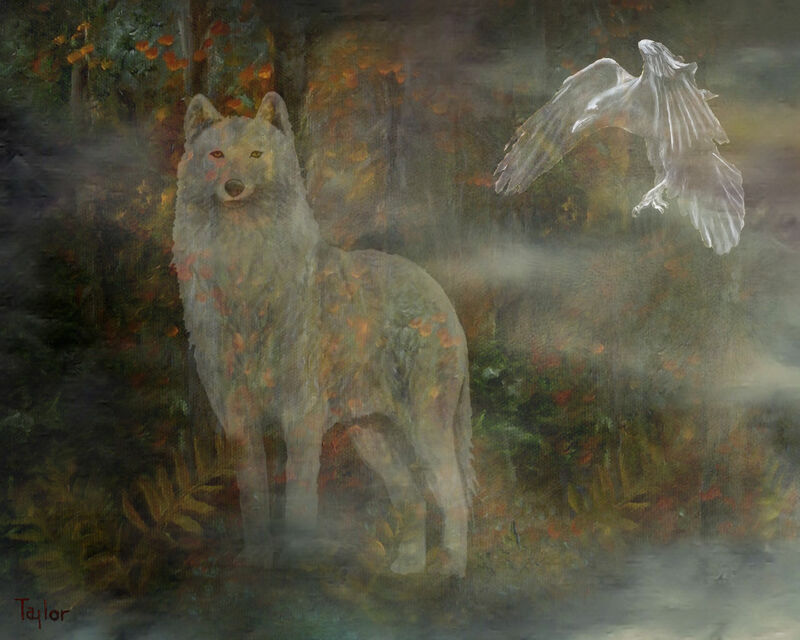 Guarded accordingly by grim Fylking warlords, Sif is enshrouded by dark tales. See also Apex, Gate, Gatetower, High Fylking, Niflsekt. See post The Wardens’ Order. Sin: An outer gatetower located between the realm of Patanin and the Cyrilian Mountains bordering eastern Dyrregin. See also Gate, Gatetower, High Fylking. Skadi: Mistress of the Faersc Conservatory. A seer who serves the Fylking and trains the Wardens of Dyrregin. See also Faersc Conservatory, Fylking, Wardens’ Order. Skaut: A rangers’ station located in the southern foothills of the Vale of Ason Tae. See also King’s Rangers. Skolvarin: The realm bordering Dyrregin to the south. Separated by the Great River. The army that defends the realm is called the Skolvarin Guard. See Map of Dyrregin. Soc: An inner gatetower located in Vinland. See also Gate, Gatetower, High Fylking. Sol: An inner gatetower located south of the Taeson River, fifty leagues due east of Tower Sor. See also Gate, Gatetower, High Fylking. Som: An inner gatetower located in southern Dyrregin fifty leagues southwest of Vinland. See also Gate, Gatetower, High Fylking. Sor: An inner gatetower located on the western coast of Dyrregin near the port city of Merhafr. Rumored to be inhabited by sullen Fylking warlords with a proclivity for harming mortals. Site of the mysterious disappearance of a warden named Edros. See also Edros, Gate, Gatetower, High Fylking, Merhafr. Sos: An inner gatetower located twenty-five leagues due east of Vinland on a peninsula on the western coast of Dyrregin. See also Gate, Gatetower, High Fylking. Spruce Road: A road that picks up near the northern fork of the Blanch River in Austr and passes through the valley on the western flank of the Thorgrim Mountains. Often used as an alternate route into the Vale of Ason Tae in the winter, when the Wolftooth Pass is snowed in. See also North Mountain Road. Stone River: A township in the Ogjan Mountains on the road between Dyrregin’s western coast and the Vale of Ason Tae. Stony: A long-standing member of the Night Guild who watches over the Pink Rose cathouse. See also Night Guild. Straelos: Son of Lord Detlef Halstaeg and younger brother to Arcmael. Taeson River: A large river south of the Fasos Hills that passes through Merhafr and into the Njorth Sea. Tahslen: A port city in southern Dyrregin, due east of Tower Sef in the Njorth Sea. Tasn: A King’s Ranger and friend of Othin of Cae Forres. Thorgrim Mountains: The great mountain range in Northern Dyrregin that borders the Vale of Ason Tae. Home of the Faersc Conservatory. The Wolftooth Pass provides the most direct route over the mountains to the north. See also Faersc Conservatory. Tower View: A tavern in the lower city of Merhafr that stands on the Taeson River in view of Tower Sor. Colloquially nicknamed the “Sour View” in reference to the grisly and mysterious tales that surround the gatetower. See also Sor. Ulfhidin: A King’s Ranger deployed to the North Branch by Lord Detlef Halstaeg under shady circumstances. Valdros: A township and ruling seat of the northern interior realms of Fjorgin. Standard is a hawk in flight on an evergreen background, and warriors of the realm are marked by a tattoo showing the phase of the moon when they were born. Vargn: A Fjorginan warlock of the Blackthorn Guild. Once apprenticed to the Faersc Conservatory to be trained as a warden, he was refused by the High Fylking of Tower Sif. See also Blackthorn Guild, Gatekeepers, High Fylking. 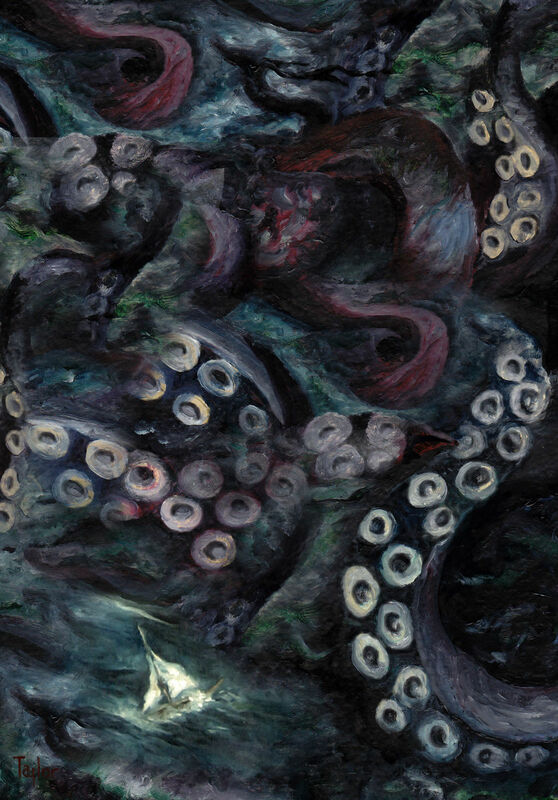 Veil: The invisible boundary between the mortal dimension and the Otherworld. Known to be more easily crossed in certain locations, or during certain seasonal or celestial events. Can be opened or closed by the Fylking or by mortals trained in the magical arts. See also Otherworld, Wyrvith Forest. Vinso: Son of Damjan, the Master of House Jarnstrom. See also Jarnstrom Forge. Vota: A city on the outskirts of Wyrvith Forest. Wardens’ Order: An order of seers established nine thousand years ago with the arrival of the Fylking, who taught humans the arts of interdimensional perception and the properties of light, energy, crystals and architecture. The wardens built the towers, watched over them with human eyes and maintained them over millennia, gathering the energies of celestial bodies to provide a bridge for their immortal warlords. In return the Fylking protected them, and gave them the honor of representing them to humankind. See also Fylking, Gate. See post The Wardens’ Order. Weaver: A term used by beings in the Otherworld to refer to Melisande. See also Melisande, Otherworld. Whisper: A raven handler at the Grayfen Aviary, so nicknamed because she speaks to the birds in very soft tones. See also Grayfen Aviary. 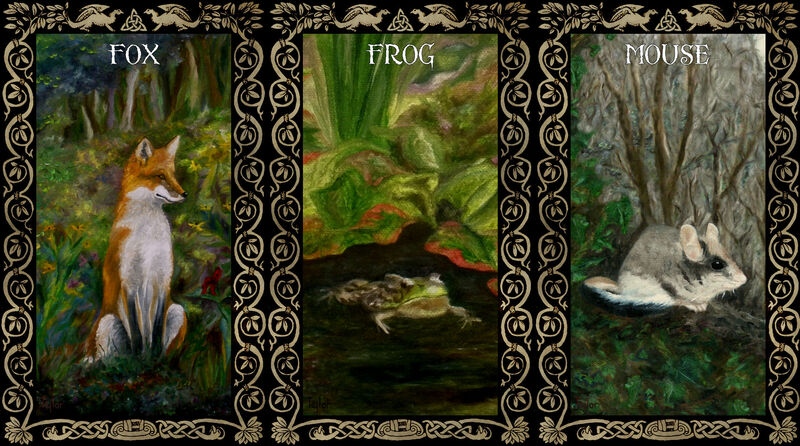 Wildcards: A set of game cards showing wild animals painted in their natural habitats and representing their abilities and place in the order of things. A favorite game played by rangers. See also King’s Rangers. See post Wildcards. Wyrvith Forest: A vast, ancient forest in the foothills of the Thorgrim Mountains south of the Wolftooth Pass. Reputed to be a dense haunt of Others, the forest is marked by a thousands-year-old entrance, tall and covered in carvings of the Old Gods. A raven, a messenger of the Otherworld, is perched on top, its half-lifted wings representing the creature’s presence on both sides of the Veil. See also Old Gods, Otherworld, Veil. Yarrow: A hedge witch of the Blackthorn Guild. Lives in the Otter River Valley in the Vale of Ason Tae. Ylgr: A desolate realm of marshes, brush, bogs and dark woodlands, located in northern Dyrregin between the Fomor and Ogjan Mountains on the Wythe Strait. Not patrolled by the rangers. See also King’s Rangers. Not a problem. I love helping other Fantasy writers and gamers.